In this week’s issue of the Puget Sound Business Journal, staff writer Kelly Gilblom explains a growing trend in Washington – some homeowners are reducing their homeowners’ insurance to save money on their premiums. While this may seem like a logical conclusion to draw, it is a dangerous action with costly consequences. A homeowner’s insurance policy is designed to protect homeowners from the loss of use or value of their property in case of a fire, tornado, windstorm, theft or other unexpected event. 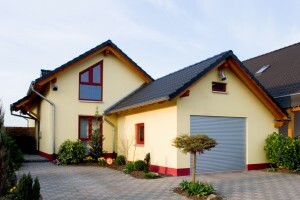 The amount insured is not necessarily related to the value of the home. Instead, the face value of the policy is meant to cover the replacement value of a home. When homeowners reduce their coverage, or cancel it altogether, they may save a few hundred dollars a year, but they put their homes and their financial well-being at risk. To be sure you are adequately covered in case of an insurable tragedy, contact your property & casualty insurance agent to get an up-to-date assessment of your home. Then compare the cost of your policy – and its benefits – with other insurers with similar ratings to be sure you are getting the best deal. Your home is often your largest asset, so be sure to protect it and your family. If you don’t have an insurance agent, or would like a referral to someone I know and trust, please contact me. I’d be happy to help. To read the full PSBJ article online, click here.